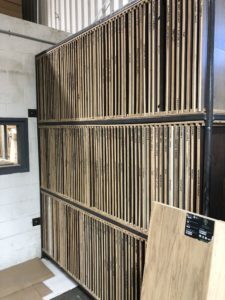 Imagine having hardwood samples delivered straight to your door rather than lugging planks around your local retailer only to find the wood isn’t a good fit? Now imagine that the hardwood is reasonably priced AND handmade through a program that helps incarcerated prisoners prove their work ethic? 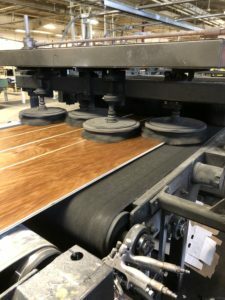 All of these efforts are made possible for consumers around the world thanks to Revel Woods, a premium hardwood flooring manufacturer based out of Tennessee. 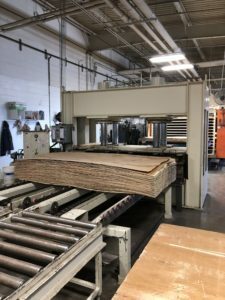 A few weekends ago, John Dupra, co-founder of Revel Woods, invited me on an exclusive tour of their facilities along with four other designers. Although I have been carrying Revel Woods products for only 8 months so far, I was surprised at how effective the company is at their job. Not only have they changed the hardwood supplier game but they are making a conscious effort to help others as they go. Overall, it was an unforgettable experience that opened my eyes to new possibilities for my clients who are loving it! As mentioned earlier, Revel Woods is transforming the way hardwood retailers do business. Whether it is removing barriers for the consumer or providing prisoners inside the Tennessee state prison system with valuable work, Revel Woods is doing it all. Many home manufacturers are still catching their breath in terms of online retail. As Amazon and other e-commerce sites transform the retailing experience, it hasn’t been easy to modify the home manufacturing side. Most homeowners are used to instant gratification like 2-day shipping. 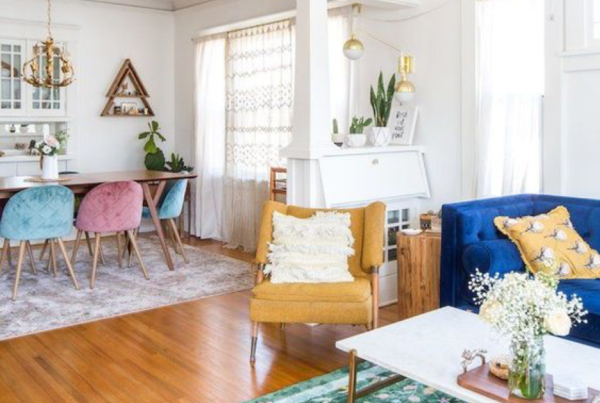 However, when it comes to making choices for the home, you need in-person options before you make an investment-sized decision. Revel Woods is bridging that gap with an easy-to-manage shopping experience for their customers. For starters, their virtual showroom brings the entire shop into your home using a digital screen. 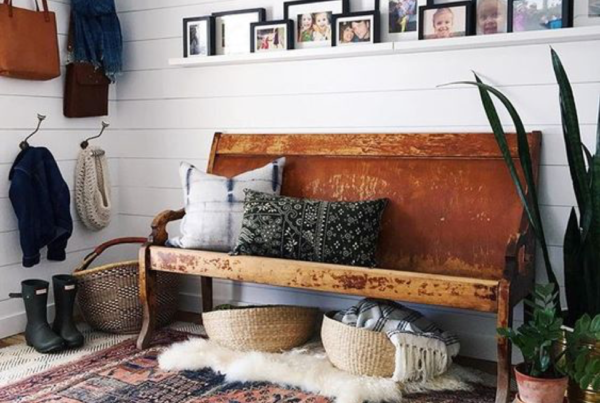 They offer the same personal touch found at brick-and-mortar stores with product recommendations customized to your home and location, along with complete transparency on all products and costs. 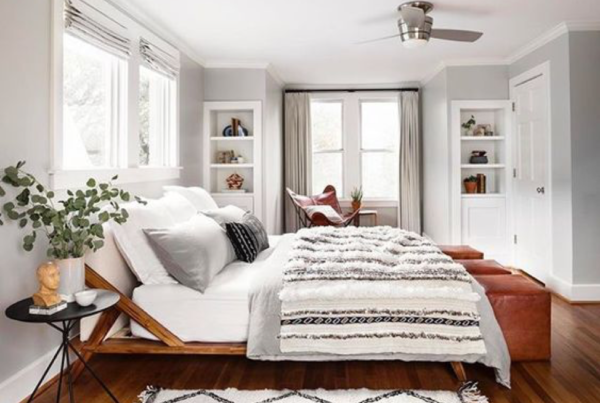 The site works with you to find the perfect option for your home by asking questions related to the climate of the area you live, what surface the hardwood will be applied to, the style of your home, your width and color preferences, as well as, the amount of traffic expected in the area you plan on setting the hardwood. 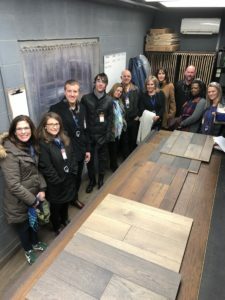 Along with their virtual showroom, Revel Woods also takes a customer-friendly approach to its product sampling methods. You can choose all of the samples you want to try in your home and have them shipped to you in a portable sampling box. They also solve a lot of the problems that smaller sample-sized pieces presented. 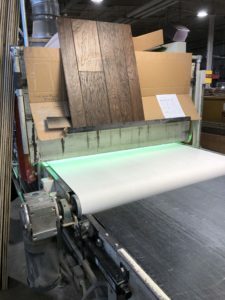 When you request samples from Revel Woods, you are given a few different pieces of all the hardwood styles you selected to see the variations in color and thickness. 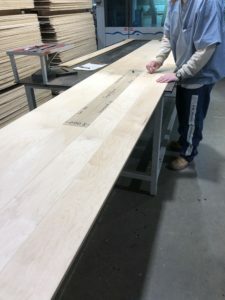 Then when you have finally selected the hardwood you want for your home, you can order everything directly from the site along with matching trim pieces. The products will ship straight to your home in a couple of weeks, or you can delay the shipping date for a time that better fits the schedule of your remodel/build. 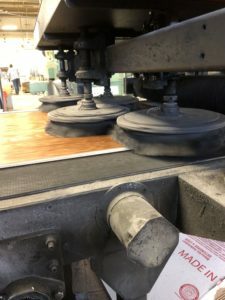 Not only is Revel Woods changing the lives of their consumers, but I got to witness first-hand how they are helping others through their manufacturing process. 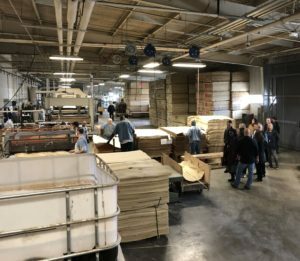 On the tour, Revel Woods took us to their manufacturing plant where we saw how the wood was made in their manufacturing plant. But this wasn’t just any manufacturing plant—this was a Tennessee prison. One of Revel Woods top suppliers, American OEM, set up a state-program that uses volunteer prisoners as their employees. What touched me the most was seeing how the program is bettering the circumstances for these prisoners. You could see the pride they took in their work and how much they enjoyed what they were doing. In fact, the program is such a success that there is a long waiting list that prisoners are added to only when they have completed a certain number of years and had no infractions for over a year. Those who work inside the mill are also paid the same standard wage as those employees in similar positions in the surrounding area. They actually do regular salary assessments to make sure that the prisoners are paid a fair fee. The wages are used for taxes, restitution funds, child support, alimony, commissary use, and in an account set up for use after released. The program is not only lowering the percentage of repeat offenders in prison but also having a massive effect on individual lives. As we were leaving, one of the prisoners who worked in the program was being released that day! We were told that he had been in the program for five years and had a savings of over $30K waiting for him. For prisoners that have hardly any prospects of future work, this is a great way for them to head out back into society. Overall, the entire experience with Revel Woods has only proven its reputation to be true. 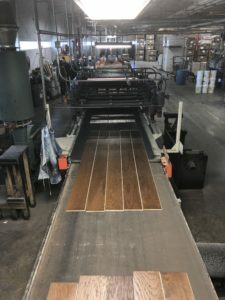 I highly recommend using Revel Woods hardwood for all of your future projects—then you can be part of something much bigger than a home remodel. For more information regarding Revel Woods, visit their website or contact us directly.